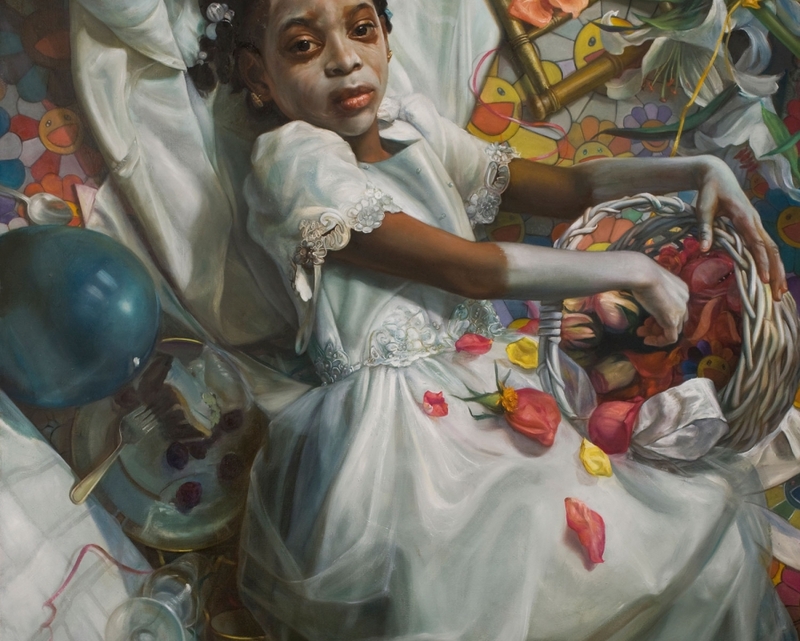 Margaret Bowland was born in Burlington, North Carolina, she studied at the University of North Carolina, Chapel Hill before moving to Brooklyn, NY, where she has lived and worked for over 20 years. She is an adjunct faculty member at the New York Academy of Art. 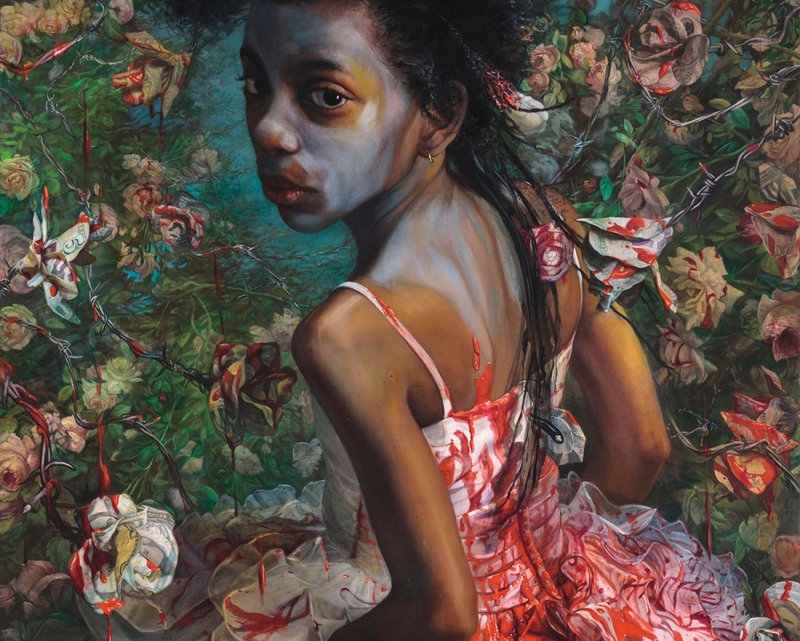 Bowland’s spellbinding and psychologically charged work brings viewers face to face with contentious culture while affirming the resilience and triumph of the human spirit. A masterful observer of life’s unpredictable nature, her work conveys universal themes through unusually specific insights. Bowland’s work explores the subtle and nuanced edges between strength and vulnerability, certainty and doubt, faith and disbelief. 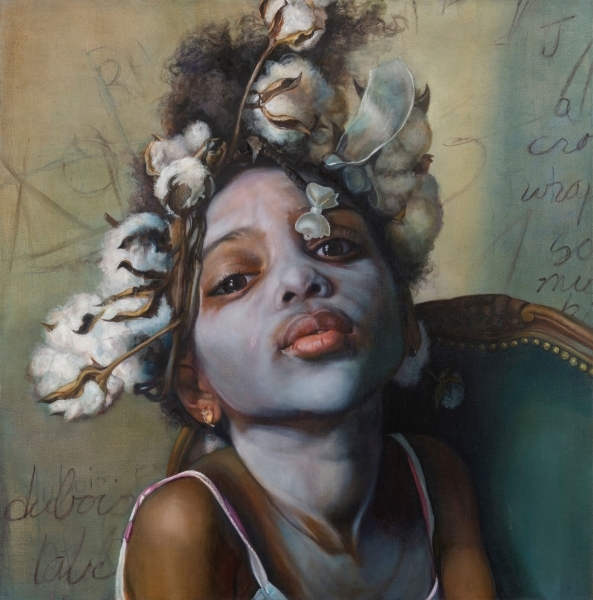 Bowland’s probing and deeply personal images call into question our societal expectations of gender, race, and beauty. 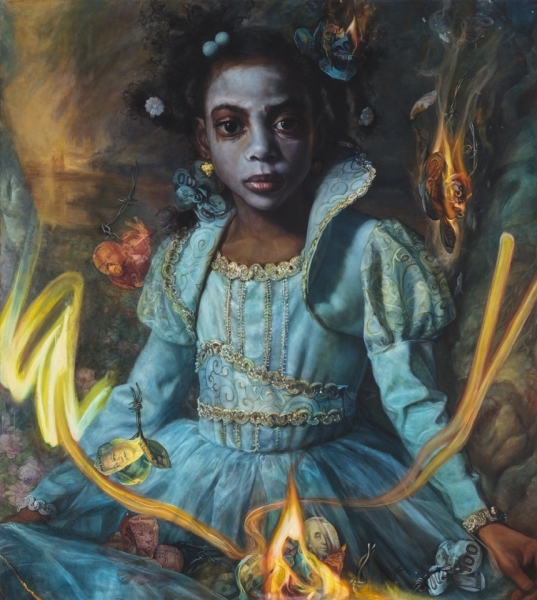 In 2011 Bowland had her first New York solo exhibition, Excerpts from the Great American Songbook, which traveled to the Greenville County Museum of Art, SC. In February 2013, she presented her second solo exhibition, Disturbing the Peace. 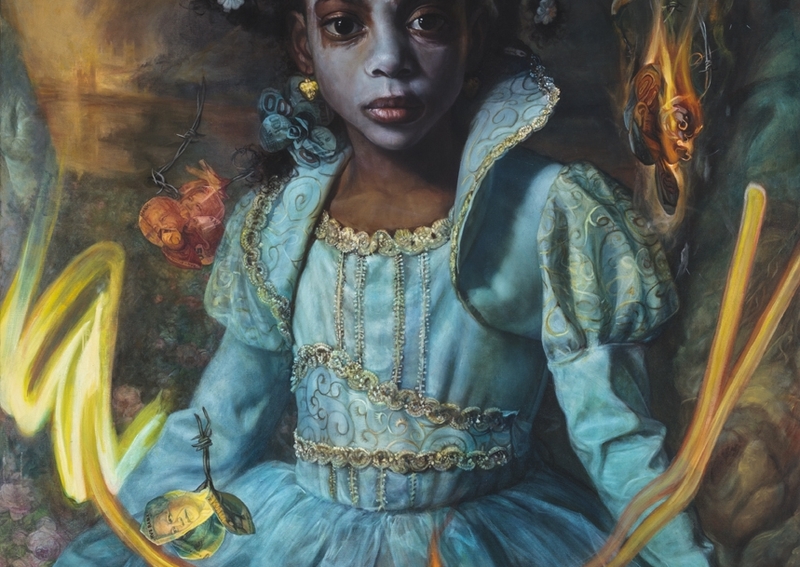 Bowland’s work has been shown nationwide and internationally in group museum exhibitions and art fairs, including the Smithsonian National Portrait Gallery, Washington, D.C.; Orange County Center for Contemporary Art, California and Art Fair 21, Cologne, Germany. 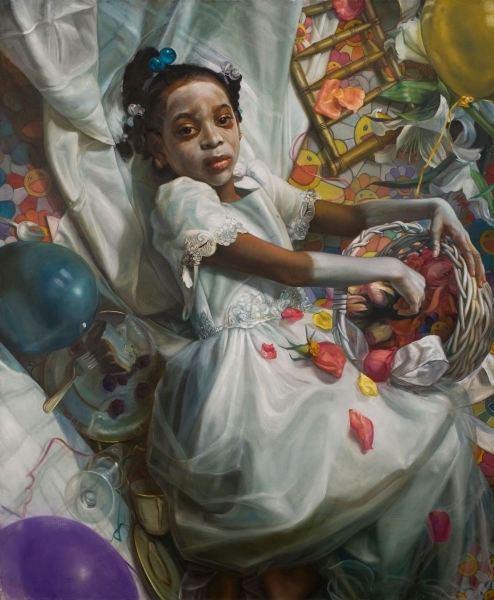 Additionally, in 2009 she received major recognition as the People’s Choice Award Winner in the Outwin Boochever Portrait Competition at the Smithsonian National Portrait Gallery in Washington, D.C.
“It has often been said that every artist has one story that he or she tells over, and over again. My story is “what does it take to be loved”. As a young woman from a small Southern town I was taught that the less someone knew about you the better. If you presented yourself as a blank page to a suitor, that person could project anything upon that page he wished to see. And you would be loved. What I could never understand was the worth of such love. If who I am is not being loved, then what have I won? This conundrum continues to this day for other young women as they don the clothes, the makeup, the very sentence structure that will allow them to fit within the category of the desirable. When making works I have often covered my subject in paint to make this point. I feel that I am doing what the world does to my subjects, tries to obliterate them or turn them into people they are not. For me, the victory is that my people stare back at you completely whole, completely themselves. No matter the costume or the makeup you are looking at an individuated and very real, human being. They have, or are learning to survive through what the world has thrown at them. I am also keenly interested in the historical continuum of this. We have always done this. Cultures who were completely unaware of each others existence used the same white paint to adorn its women, the same fixed attitudes were taught to its men. My paintings fuse the past with the present and slash into the future. I have spent my life learning the painting techniques of the past, in order to call upon the power of its language to speak about today. Like modern filmmakers I use the drama of the Baroque to evoke in the viewer through light and shadow a mirror of his or her own inner turmoil and hope.